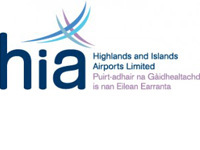 Latest figures have revealed a record number of people used Highlands and Islands Airports Ltd (HIAL) airports in 2017, as the group reported 1,722,913 journeys during the year. The 2017 figures show numbers were up 102,577 on 2016’s total of 1,620,336 people who used the company’s airports across Scotland, an increase of 6.3%.Highlights include a 6.3% increase at Inverness and an 18.9% jump in passenger numbers at the world-renowned Barra Airport which had 14,264 passengers using its beach runway in 2017.Sumburgh, which serves the Shetlands and the North Sea oil and gas industry, recorded a rise of 13.9% to 386,039 – up 46,948 – continuing the growth it has enjoyed since HIAL refurbished the airport and enhanced facilities for offshore workers. Orkney’s Kirkwall Airport saw passenger numbers increase by 9.2% to 195,544 from 179,140 in 2016 and Stornoway also saw increased demand with passenger numbers up 4% to 137,103. Tiree, Campbeltown, Benbecula and Islay all reported increases year-on-year. Mr Lyon said: “These figures indicate a positive economic outlook for the regions. This illustrates the continuing need for strategic investment across the HIAL operating area. We are working with our colleagues in Transport Scotland to deliver a regional airports network that can grow passenger numbers and has long-term sustainability. Mr Lyon said an anticipated increase in international visitors to Scotland in 2018 could see the strong growth figures continue. Passenger numbers were down 16,029 at Dundee as a result of the withdrawal of the Flybe Amsterdam service by the operator in December 2016. Figures also decreased at Wick by 7,871, due in part to reduced demand from energy sector services to-and-from Aberdeen and offshore platforms.